•Mismatched– a new Quest that requires you to identify the incorrect object in each of the three images and then put those items in the correct order. The words are all lowercase and should have a space between each word. This is one of our more difficult Quests to date, so keep on trying, eventually you will work it out! •Flip the Coin – we have increased the game to level 100. Good luck and may your fingers be nimble. We see this as an opportunity to share with our players new tokens, which could prompt them to learn about many other projects that we have aligned ourselves with. We will provide more information about each partner in the app and on our website very soon. Don’t worry iOS players, we haven’t forgotten about you. 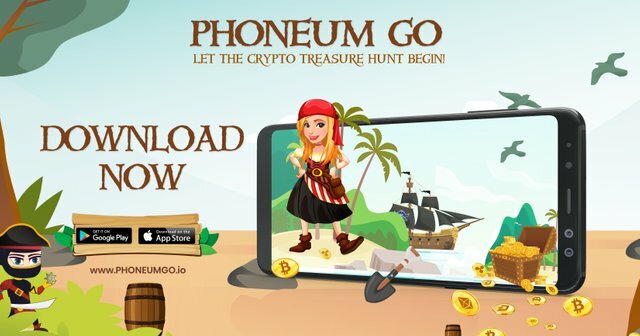 Early next week we expect to shift from Alpha to Beta with the release of Phoneum GO directly on the Apple App Store. With the Beta release, the game is ready to be shared with the world! We need your support now more than ever. Thank you for all your support it means the world to me.